Simply Silhouette: Thank You Gifts Blog Hop! 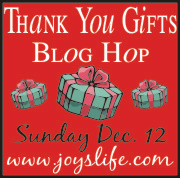 Thank You Gifts Blog Hop! Joy at http://www.joyslife.com/ and start from the beginning. You won't want to miss anyone along the way. function to hide the word that cuts out on the purse. cartridge (it was loaded on my Gypsy for registering). 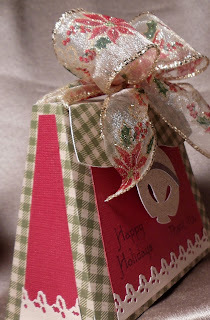 I hope you enjoyed my project for this Blog Hop! used my Forever Young cartridge once before. I know, I know you want the candy don't you? be here in a jiffy! 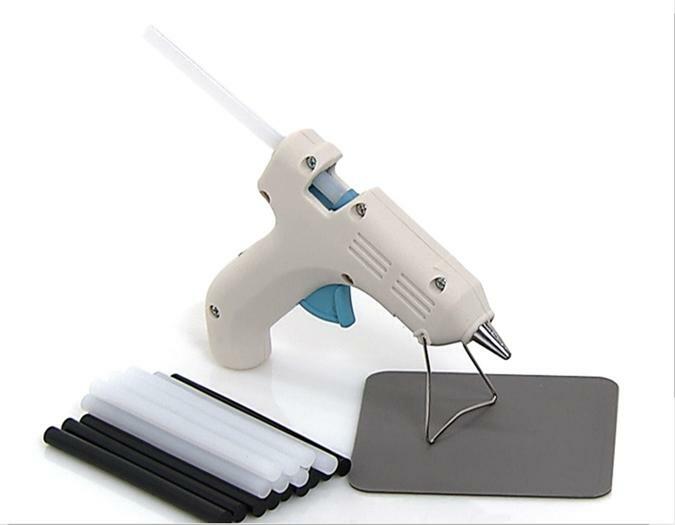 A Martha Stewart dual temperature glue gun! Now, time to hop over to the next Blog! How pretty. Love the ribbon! thanks. Love this box. It gave me the inspiration to make some of them for my small gifts. Thanks for sharing and the chance to win. I am a follower. I love this purse! The colors work so well.. and how gorgeous is that ribbon!? TFS! I'm a new follower. Thank you so much for a chance to win! Happy Holidays!! This is a great idea! I am a new follower, thanks for sharing. Wow! Too cool. So glad I found your blog on yesterday's Your Story hop. Your work is fantastic! Sooo Cute, would be fantastic for gift cards!! Thanks for sharing and Happy Holidays!! I LOVE this little purse!!! It is so beautiful! TFS! I became a follower! I don't have this cart, but I do have lots that make little boxes and such. So thanks for the idea!! I became a follower! Gorgeous! 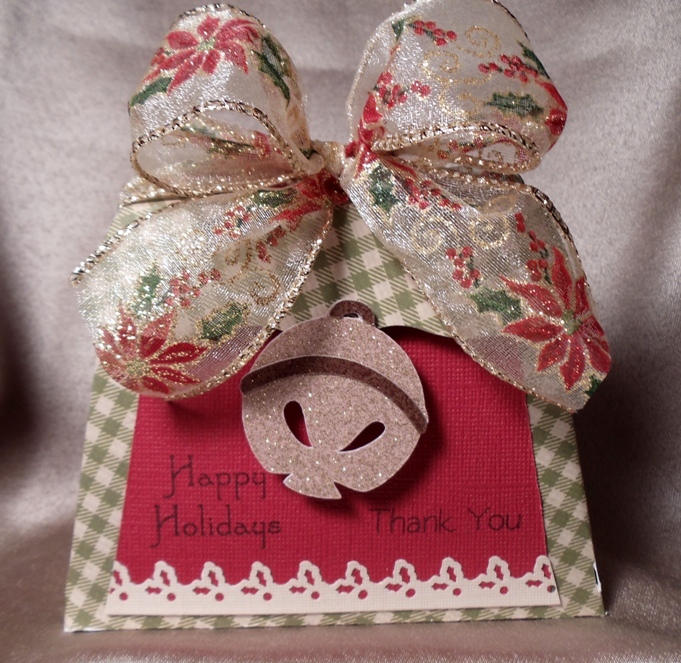 I love the ribbon and jingle bell! Love this box, great idea! So pretty. Great gift box! I love the bell! Wow what an adorable purse! I made purses to put the jewelry I make for the girls on my list last year. I think I'll really bling em up this year! Thanks for sharing, and I am a follower! I love your box. That bell & bow are the perfect compliment for it. Beautiful. I am a new follower of your blog! Love this idea for a gift card! TFS. I am a follower. i love your little box way cute. This is an adorable box. I love making my own boxes. Thanks for sharing. I love these hops. I meet so many new and wonderful crafters. I have that cart and I'm so excited to now use it! I haven't yet!! Very, very cute. Love your blog and I've been a follower. What a great project!!! Love how you adapted it using your gypsy!!! Love your blog!! Adorable gift purse! Love your blog. This is so pretty! I have this cartridge but have only used it a few times. Thanks for the inspiration to use it more! This box is soo cute! Beautiful job. Beautiful! I love the added touches that you made to dress up this cut. Love it! Thank you for sharing. This is a cute little purse. It would make a great little stocking stuffer. Thanks for sharing. Very cute, I love how you decorated it. I'm also your newest follower..Would Love for you to check out my blog. It turned out awesome! I love that border punch! So pretty, love the bow and the bell! Thanks for the chance to win such a cool product. I am a new follower. How cute. I've got several girlfriends who are purse fiends that would love this. 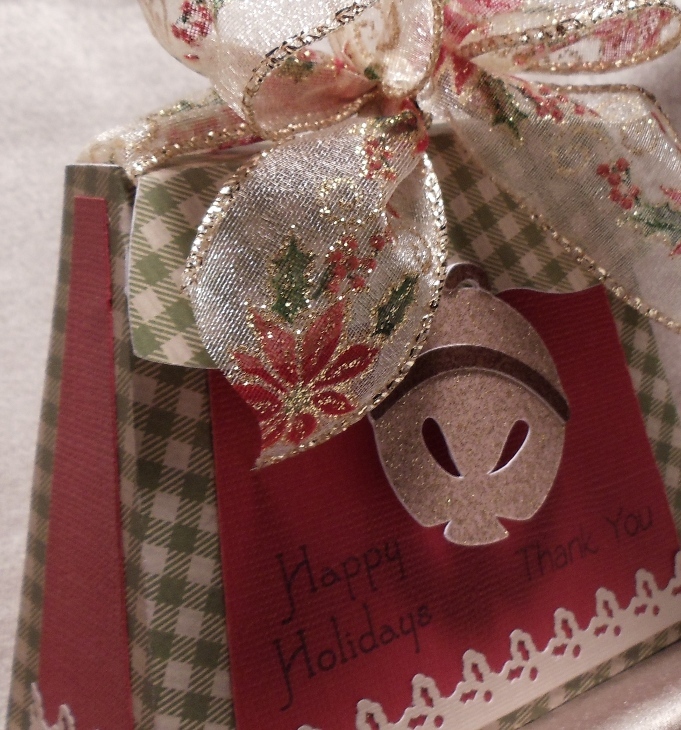 I love your THANK YOU gift bags, and they are so festive looking! very pretty!! I love this lil gift bag! And I did not even know that cute lil bell was on that gypsy cart! Cute cute box - love the extra little details. Love the PP you used, the bow is really cute... love it..
Great idea and it turned out fantastic!! Your project turned out great. Those work great for treats. Thank You for being in the hop and for chances to win great prizes. This is really cute!! I love the glitter on the bell and that big beautiful bow. I am already a follower on your blog. Thanks for the chance to win!! What a cute little gift bag! Thanks for the chance to win! I am a new follower. love your project.. thanks for sharing.. im already a follower..
Ok So I became a follower...and OMG!!! I just love this...so much fun to see so much creativity!!! Such a cute idea...and so elegant. What a cute way to give away a little treat. Thanks for the inspiration and your wonderful creativity. Adorable container. So many good uses for it. This is soooo cute, I love your bow......TFS!!!! Cute little purse.....and now, a follower! Great idea for gift cards. Very Cute. Thanks for sharing! Ooo, I have that cartridge! Great idea, thanks! You made me think of those Forever Young purses in a whole different way. This is an ADORABLE and pretty project! I LOVE what you created! This is beautiful! I love the purses on FY but I never would have thought to use them for Christmas gifts- very creative! Glad to follow and Merry Christmas! That is way super cute! How cute. Just another cartridge to put on my gotta have list. I love the Forever Young cartridge. Your purse turned out so adorable. Thanks for sharing. Julie this just took my breath away it is sooo pretty. I am finally here! It has taken me all day to get through the hop as life keeps interrupting LOL! Of course I started at my own blog!! Thank you so much for your kind words!! I am now following you and looking forward to seeing more of your work! I love your little purse! What girl wouldn't want a gift inside one?!! Beautiful little gift box! I love the extras that you added! Thanks for sharing! Cute purse box. I'm loving this hop. Finding such great ideas!!! I love this little gift box! It is so cute! Already a follower :) Love your fun box!!! Anyway, very cute! Thanks for reminding me that I could actually pull it out and use for Christmas! TFS!! kive the thank you gift! Great blog too! Cute little purse! I want that cartridge too some day! I would like to cut out the purses until they overflow! I love making the bags and purses and putting gifts in them!!! Thanks for sharing! I am already a follower and love the blog! I don't have the forever young cartridge yet...but this post makes me want it NOW!! LOL! Glad I found you...now I'm a follower! very cute, great gift idea. What a great idea for a packaging for a gift card. I have serveral to give this year so this will be great to use rather then the boring envelopes they come in. Very cute gift box! I'm always looking for new ways to give gift cards! Thanks for sharing! I'm a new follower and I think your purse gift bag is so, so cute! Totally cute & festive purse! Perfect idea for those small gifts. What I love most about this little box, except for everything about it, is that with different paper, you could totally do this for a man or a woman. Totally adorable! Such a cute purse!!! Love it!!! You can NEVER have to many purses! And one to giveaway are even better! Cute idea for a bag. I never thought to use the Forever Young for a full size gift bag. Thanks for the great idea! Cute bag. Thanks for the chance to win. Oh, I love everything about this purse...the gingham paper, the ribbon, the bell, the velcro, the border...it's sooo pretty! TFS! very nice .i would love to make this to put a gift card inside for my daughter. thanks for the idea. YOur bag is unbelieveablly beautiful! I love the colors your choose and also that ribbon is so pretty! What an adorable, Christmas-y purse!!! :) I love all of your special touches: the holly border, the velcro, and the cute bell! you are so amazing I just love to visit your blog and see what you are making, and thanks for cking on me the other day as well lol (even if you did have me blocked) thanks Debbie hey maybe do a video on this, what do you think? Thank you for sharing & for the chance to win! 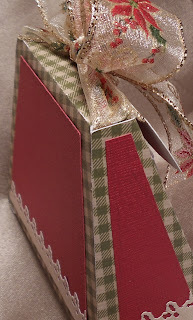 Hi I just wanted to thank you for your post tutorial on the gift boxes & I'd love for you to see my take on them! My blog is raquelsdesigns.blogspot.com Thanks again!! I love your project and I wanted to let you know that I will be featuring it this week on the Fantabulous Cricut blog for my Fantabulous Friday post. Check it out this friday!